A Showroom Kitchen in any Home. With over 25 years’ experience, the team at Galley Kitchens know design and manufacturing of kitchens. Each Galley Kitchen is designed and installed to the highest quality. We combine experience and knowledge with traditional craftsmanship and the latest technology to develop the most functional and stylish kitchens to enhance your home. From sophisticated elegance to industrial luxe, modern classic or refined comfort – a Galley Kitchen can provide you with extensive options for every aspect of your kitchen design. The kitchen is one of the places that people most often go to relax and enjoy, that is why it is often called the “heart of the home”. Well-crafted cabinets that look as good up close as they do from a distance. Durable surfaces that stand up to repeated cleaning and functionality that makes things easy to store – and easy to ﬁnd. It is the innovation and dedication to these elements that will make a Galley Kitchen stand apart. Every Galley Kitchen is custom built by our team of quality cabinet makers in our onsite factory. Our process is simple and inclusive, and we will work with you to deliver real value for your investment. Classic styling that will stand the test of time and flexibility that lets you put your personal stamp on your own kitchen design is invaluable and what we strive towards. Galley Kitchens has over 25 years’ experience in designing and manufacturing the finest kitchen cabinetry. 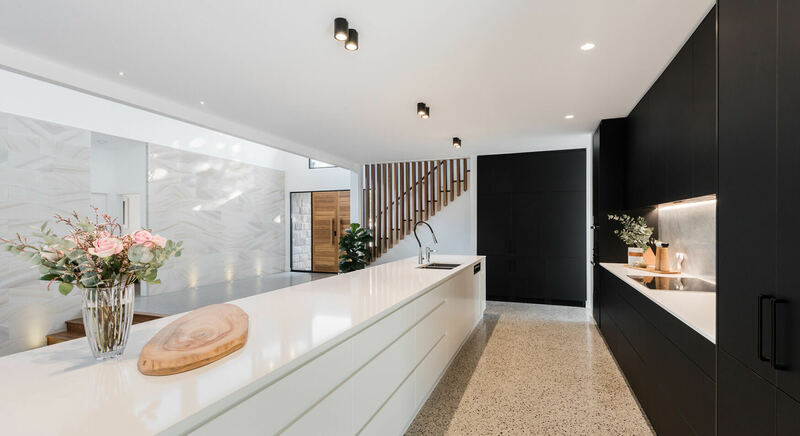 Located in Wyoming on the beautiful Central Coast of NSW, the team at Galley Kitchens design and install kitchens throughout the Central Coast, Sydney and Hunter regions. So, whether you are a home owner, small developer or large construction company looking for a unique solution, Galley Kitchens can meet your needs with a quality, custom built kitchen at an affordable price. Understanding quality and workmanship is essential in kitchen design. Many of our referrals include architects, interior designers and renovation contractors who understand ﬁne work, and who recommend us to people like you. Galley kitchens will turn your kitchen into "showroom" quality.